Business owners in South Africa are starting to take notice of a new trend which challenges traditional ways of working in a fixed office. This may be due to; the reluctance to be tied into long-term leases, cost saving initiatives, the need for smaller, permanent offices or even the frustration of negotiating daily traffic to and from work whilst losing valuable productivity. Resourceful landlords, such as The Business Exchange – a provider of flexible and serviced office space in Sandton, are offering their clients various office and meeting room rental options structured around their clients’ specific needs without incorporating unnecessary costs. Hiring meeting rooms on an hourly basis is proving to be extremely popular for companies who need to hold off-site meetings so as not to be disturbed by the daily office routine. It is also a convenient option for small businesses and entrepreneurs who require a professional venue in order to present a professional image to their clients. Hourly meeting room hire will give you flexibility, whether you need to conduct a meeting, seminars, interviews, or training. If you are looking to hire professional meeting room space in Sandton for a few hours, The Business Exchange offers a selection of contemporary and spacious meeting rooms available for hire on an hourly basis. It is conveniently situated close to major highways, transport hubs and various restaurants. Their stylish and professional meeting rooms are ideal for formal discussions, presentations and for conducting interviews or training, all at a prime business address in Sandton. Each meeting room is fully equipped to ensure that you are able to conduct your meeting with professionalism and ease, seating up to 10 people in comfort and privacy. Impress and reassure your clients of your professionalism by hosting your next meeting at The Business Exchange’s upmarket and secure premises. You can be assured that we will value and uphold your corporate image at all times. A distinct advantage of taking up an office at The Business Exchange is that it offers all office rental tenants access to a unique marketing platform whilst encompassing a professional public relations strategy to promote both The Business Exchange and its tenants. The Business Exchange understands the power of the media, and as such, a key strategy though the marketing platform is to offer tenants the opportunity to gain exposure through print, broadcast and online media. This platform allows tenants the opportunity to release and share their news and events online, whilst engaging with their clients, through digital activities via social media (LinkedIn, Facebook, YouTube and Twitter), a corporate blog and email newsletters. Furthermore, all submissions to The Business Exchange corporate blog will be considered for distribution to the media. 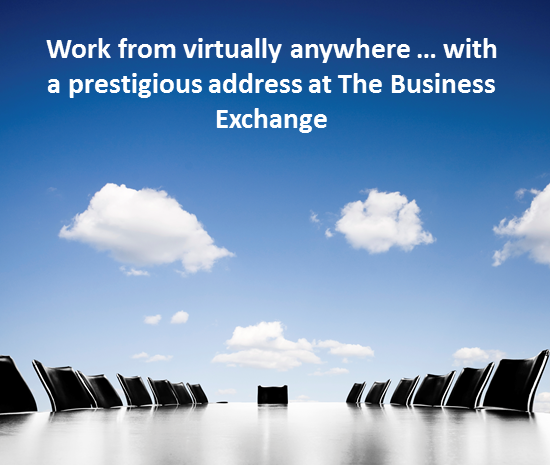 The Business Exchange offers additional opportunities not available from any other serviced office rental company. Tenants will gain access to potential investors as well as to a network of like-minded business owners and professionals all with a common goal – to grow business, conclude deals and create larger market presence through beneficial relationships and networks. Contact us to see how we can raise the profile of your company. Enquire about our highly competitive meeting room rates.